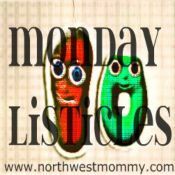 The one good thing about Mondays is that NorthWestMommy diligently offers up a new fan- influenced prompt, geared towards the positive aspects of existence. This week is 10 favorite smells. Like Ms NWM herself I tried to keep the list from representing all foodstuffs. Unlike her, well, you’ll see. 1. Fresh air. Not much of it around here. When I go to the mountains, even just the suburbs, I can sense the difference especially since it usually means more serene surroundings – since city life is as much soul-crushing as it is physically polluting. Fresh air works up the appetite for one thing. That leads me to the next one. 2. Barbecue. Yes I plainly see the irony of longing for and appreciating the outdoors, then polluting it just to get extra char on my burger/hot dog/ steak/ vegetables. 3. Dried flowers. the scent is as strong, if not longer lasting, than when they are in bloom. Except for honey suckles, which are wonderful when they are around. I do not have much exposure to actual full gardens (see #1). 4. Candles. Not just a source of mood lighting, many candles are scented, which can go along with a seasonal or intentional purpose. This is a tricky area, since candle scents can be overpowering or smell more like food than they really should. I have found that Crystal Journey candles are my favorites; clean light and refreshing, and if you are into meditating/ spiritual practices, you will likely find what you need here. Or get me something. Just puttin’ it out there. 5. Indian food/curry/basmati rice. Sure you can get that nice aroma from the cart food, or a divey little place in Curry Row NYC, but when you get those fresh ground seasonings in a nice rich gravy, accompanied by basmati rice with actual saffron, inhale deeply and you will reach a dreamy state. All this before you take the first bite! 6. Garlic/onions frying. This gears more towards my Italian roots. When I was younger, Sunday mornings usually meant waking up to this aroma wafting through the apartment. A good sauce takes time of course, and was an integral part of even bigger meals, like lasagna or stuffed shells. If it wasn’t our house cooking, then this was the first thing you would smell when walking into grandma’s house. Imagine if #4 came in this scent?! 7. Banana bread. I generally enjoy baking, and the aromas are great (especially when vanilla and/or brown sugar are ingredients! ), but the smell of banana bread just seems to equal warmth. Pulling open a muffin is likeable to a blossoming flower. 8. Brewing tea. Whether it’s with regular leaves, green tea, spicy chai (see #5 for a 1-2 punch! ), or ones blended with herbs like sage or rosemary, every aroma is clean and refreshing. Your senses will steep in the smells and the flavors. 9. Hugo cologne. I first bought this in college. I know, you grow up and move on to other scents, but this reminds me of my turtleneck sweaters and cold weather in general, as well as my more carefree days (ok that’s not completely true, college is stressful!) I never could wear it during warm weather. I always make sure to own even just a small bottle to wear from time to time. 10. Cats. When I bury my face in their cute fuzzy bellies, I get their scent. Then they wash themselves immediately afterwards since they have MY scent. Litter boxes- eh, not so much a fan of THAT part. Like babies, you wonder how something so cute can create something so diabolic. It’s the balance of nature; just keep repeating that to yourself as you clean it up. Or just burn a candle!